Caption: Fig. 1: Astronomer E. E. Barnard photographed the Rho Ophiuchi nebula near the border of Scorpius in 1905 through a 10-inch refractor. When he published the image in the Astrophysical Journal five years later, he discussed the possibility — then fiercely debated — that bright nebulae are partially transparent and dark nebulae are opaque, hiding material farther away. Other researchers argued that dark nebulae are simply regions where stars and gas are absent. Fig. 2a: Barnard's photo has been placed on the sky in its proper position and orientation and is displayed in WorldWide Telescope (WWT) superimposed on a false-color background image from NASA's Wide-field Infrared Survey Explorer (WISE). In Fig. 2b and 2c, Barnard's photo has been made partially and fully transparent, respectively, to reveal it in context. In the visible-light photo, gas glows brightly while dust appears in silhouette. In infrared light, as seen by WISE, dust glows brightly where in visible light there was nothing but blackness. Barnard was right! More than 30,000 celestial images that were all but lost to science are about to find their way back into researchers' hands thanks to the efforts of thousands of citizen scientists. he photographs, radio maps, and other telescopic images were scanned from the pages of dusty old journals for a cosmic reclamation project called Astronomy Rewind. Its goal is to bring these "zombie" images back to life so that astronomers can find them online and compare them with modern electronic data from ground- and space-based telescopes, making possible new studies of short- and long-term changes in the heavens. In its initial phase, launched in March 2017, volunteers using the Zooniverse citizen-science platform classified the scans into three broad categories: single images with coordinate axes, multiple images with such axes, and single or multiple images without such axes. During the next phase, which launches today, 9 October, visitors to Astronomy Rewind's Zooniverse site will use the coordinate axes (when available) or any rulers, arrows, captions, or other labels to determine each image's location on the sky, angular scale, and orientation. The images will then appear in WorldWide Telescope (WWT), a virtual sky explorer that doubles as a portal to the peer-reviewed literature and to archival images from the world's major observatories. "I was simply amazed at the Zoonizens' response to our first set of images," says Alyssa Goodman, one of the project's leaders at the Harvard-Smithsonian Center for Astrophysics (CfA). "We thought it would take months to make the first pass through the scans, but our volunteers did it in a matter of days. Apparently random images of the sky look as cool to ordinary people as they do to professional astronomers!" Laura Trouille, co-lead for Zooniverse at the Adler Planetarium, suggests that with some 3,000 registered users (and another 1,500 or so anonymous ones) contributing to Astronomy Rewind, the roughly 10,000 images with coordinate axes should be placed into WWT within a few months -- though, if history is any guide, it could be sooner. The remaining 20,000 sky views will surely take longer, as volunteers will have to do a bit of detective work to figure out exactly where the images belong on the sky. Originally developed at Microsoft Research, WWT is now managed by the American Astronomical Society (AAS). The images digitized so far, some more than 100 years old, come from the AAS journals -- the Astronomical Journal (AJ), Astrophysical Journal (ApJ), ApJ Letters, and the ApJ Supplement Series -- and were provided by the Astrophysics Data System (ADS), a NASA-funded bibliographic service and archive at the Smithsonian Astrophysical Observatory (SAO), part of the CfA. Results from a related project, the ADS All Sky Survey (ADSASS), have already been poured into WWT and the European image-display tool Aladin, which enables users to click on any astronomical image that originally appeared in one of the AAS journals and immediately call up the corresponding research paper. "Without Astronomy Rewind, astronomers would be unlikely to make the effort to extract an image from an old article, place it on the sky, and find related images at other wavelengths for comparison," says Goodman. "Once our revivified pictures are incorporated into WorldWide Telescope, which includes images and catalogs from across the electromagnetic spectrum, contextualization will take only seconds, making it easy to compare observations from a century ago with modern data to see how celestial objects have moved or changed." 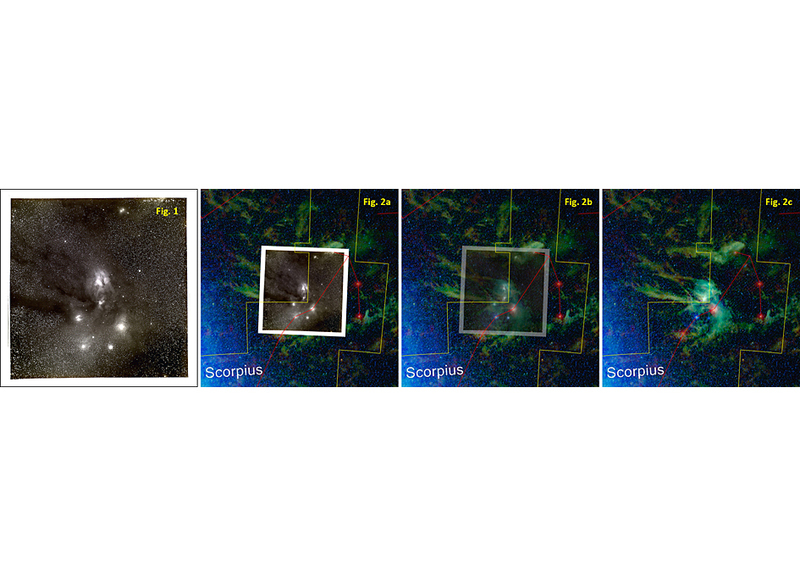 Julie Steffen, AAS Director of Publishing, acknowledges that the work required to confirm the position, scale, and orientation of decades-old astronomical images will be more challenging than the simple classification that volunteers performed earlier. "I'm confident that our Zoonizens will do a terrific job, just like before," she says, "but in case they run into trouble they can use our online chat feature to get help from astronomy graduate students who will be standing by to assist." "Once this next phase of Astronomy Rewind is completed," adds Goodman, "anyone who's curious -- historian, scientist, or enthusiast of any other stripe -- will be able to see where our sky has been studied, when, why, and by whom, and to click on any image that appeared in any AAS journal going back to the 19th century and see it in context on the sky. How cool is that?!"